"...requires the student to anticipate on demand, which is great." Italian is best known as the language love and with over 85 million speakers it is a very useful language to be able to converse in for travel and business. Pimsleur claims to offer a faster and easier way to gain conversational ability in the language even if you have struggled learning it in the past. 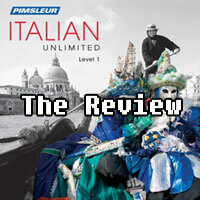 This review will explain exactly how the Pimsleur Italian course works and the major strengths and weaknesses of this approach. It's available in two software program packages. Pimsleur Italian Unlimited 1 which costs $150 contains 30 audio lessons as well as additional features such as quick match games and flash cards. Pimsleur Unlimited 1 - 3 which costs $350 contains 90 audio lessons as well as features such as flash cards, Pimsleur audio events and quick match games. The program can also be purchased as an audio only based course. 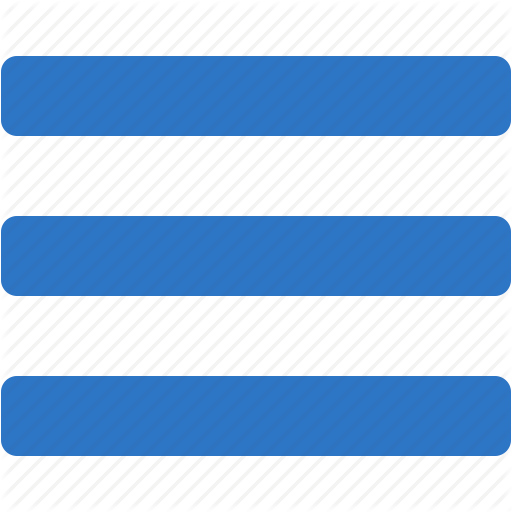 There are 4 different levels with each containing 30 units plus reading material. These can be purchased on CD for $345 or on MP3 for $119.95. The Pimsleur Method stresses the importance of organic learning. This method uses audio based learning and requires the student to anticipate and produce language on demand. Words and phrases are reinforced through the use of gradual repetition. Lessons can be purchased in increments - One of my biggest objections to this program is the price, which can appear expensive compared to alternative learning programs. However you can also purchase Pimsleur Italian in increments of $21.95 for five lessons. This may a good choice for people who are on a fixed budget or who want to try out a set of lessons before committing to the full course. Easy to use - Pimsleur Italian is a very easy to get started with. Beginning your course only requires playing the audio CD and following along with the prompts. This means that you can begin using your course immediately and don't need to worry about whether you are using the course correctly. Long history of success - With many different language programs to choose from it can be difficult to know which one you should select. Pimsleur has been in business for decades and has a good track record of success. With the Pimsleur method you know that you are using a language learning formula which works. Few additional features in the software package - Pimsleur Italian has recently repackaged their audio based courses and offered them as a software course. However compared too many other software based courses such as Fluenz or Rosetta Stone there is a scarcity of additional features. For example with Fluenz Italian you receive interactive video tutorials, voice recording software and full social networking features. Pimsleur Italian in comparison only offers a few minor extras such as quizzes and games. No adaptive testing - Unlike some newer software programs there is no adaptive testing which evaluates which level you should begin with. This is not a problem for complete beginners but for more advanced learners knowing where to start is difficult. It also lacks the progress tracking which comes with many other types of language learning software programs. Sole use of the formal Italian "You" - One of the problems that many people have with Pimsleur courses is that the language taught is often slightly old fashioned. An example of this is the fact that the lessons on use the formal Italian for "You". Less formal conjunctions are not introduced until much later. This is not a major problem it terms of being understood but does reinforce the reputation that Pimsleur has for being out of date. Courses such as Fluenz focus on teaching Italian the way that it is actually spoken by everyday Italians. It is very expensive - Cost is a major issue with this one, especially compared to some competing products. At $345 for a single level of Pimsleur it compares unfavourably to Rocket Premium Italian at $99.95 for the entire course or Rosetta Stone Italian which costs $134 per level. Its high production values which do help to justify its price tag but then so do its major competition. Reading program is weak - Pimsleur is meant to be an audio based teaching method but more recently has added some reading material. The incorporation of reading material is obviously an afterthought and compares unfavourably to the quality of the main course. If you are looking to learn to read and write Italian then you will want to select a different language learning course such as Rocket Italian Premium or Fluenz Italian. Great audio based lessons based on "how children learn" aka. "Spaced Repetition"
Pimsleur Italian is excellent at a number of things. For improving conversational fluency and pronunciation it is difficult to beat the Pimsleur approach. However the teaching methods used by Pimsleur such as spaced repetition and forcing the student to produce the language have now been incorporated into other language courses. While the Pimsleur approach was once unique on its focus on organic rather than rote learning this is no longer the case. The high production values of this course somewhat justify the expense of this course. In addition you are using a learning method that has been used with success by many other students. What Pimsleur Italian lacks is the other features that software based programs such as Rocket, Rosetta Stone and Fluenz offer. In particular new innovations such as interactive video tutorials or progress tracking are noticeably lacking. Because of the lack of attention to reading and writing Italian, Pimsleur will not be appropriate for students interested in these areas. While there is some reading material provided, it is not the main focus of the course and there are many other language learning programs which are better a teaching these areas. For many people Pimsleur Italian is still the best way to learn to converse in a new language but given the alternatives to this course you may be better investing in a newer course such as Rocket Italian which is priced at $99.95 for the full course and comes with a free six day trial.